He was elected Archbishop of Peć between December 19, 1337 and January 3, 1338. Before he was elected, he was logothetos, royal chancellor. He was elevated to Patriarch and Archbishop of Peć on Palm Sunday, April 6, 1346. This was done so that Joanikije could coronate King Stefan Uroš IV Dušan as tsar (emperor). 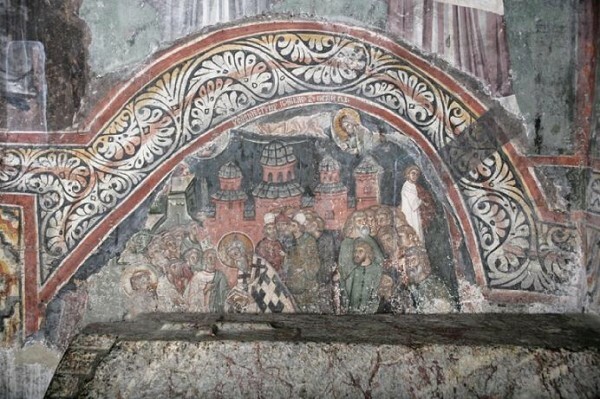 This corontion took place on Pascha of 1346 with the approval of the Patriarch of Trnovo, Archbishop of Ohrid, and community of Mount Athos. Patr. Joanikije continued a tradition of building churches and monasteries. He built, among others, two churches in the Holy Land: the Church of Saint Elias on Carmel and the Church of Saint Nicholas on Mount Tabor. Once, the pope sent an envoy to make a proposal to the Serbian emperor and the patriarch. Saint Joanikije, however, refused to recognize new Western new teachings. Saint Joanikije died September 3, 1354. He was buried in Peć Monastery.